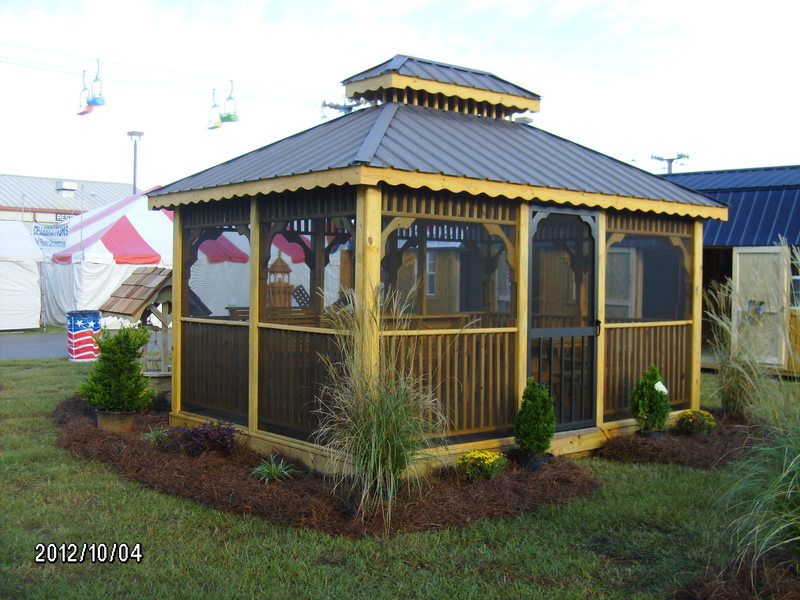 We have three styles of Gazebos to choose from. The Octagonal, Oblong, and Rectangular Glider House. The screen room is the perfect solution! It's the perfect place to host a backyard BQ or birthday party to keep the food inside and out of the reach of those gnats and flies! The screen room features a wood framed structure with pressure treated floors. The siding and roof are a 29 gauge painted metal that can be any color combination you like. 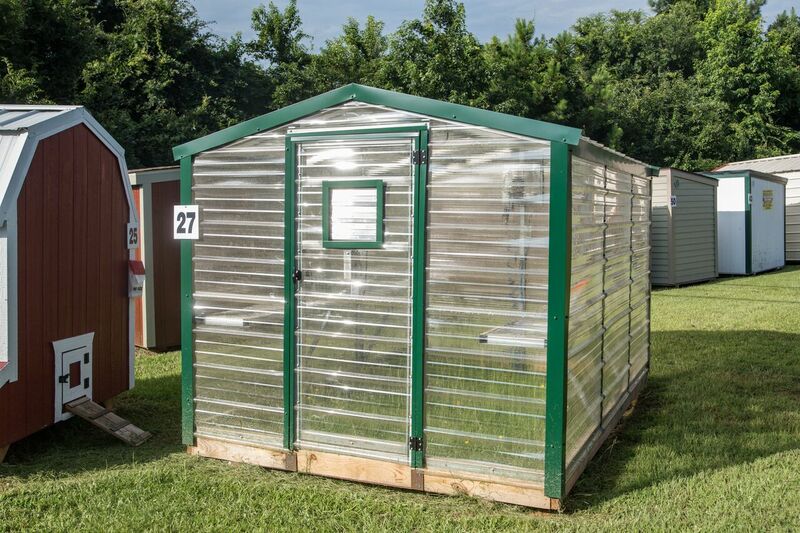 The portable Green House is the perfect solution. With a standard “two shelf set up” you have plenty of room for your plants up off the ground. You also have plenty of room to hang your hanging plants from the ceiling. Your pet will think he's living in the Statesville Manor. 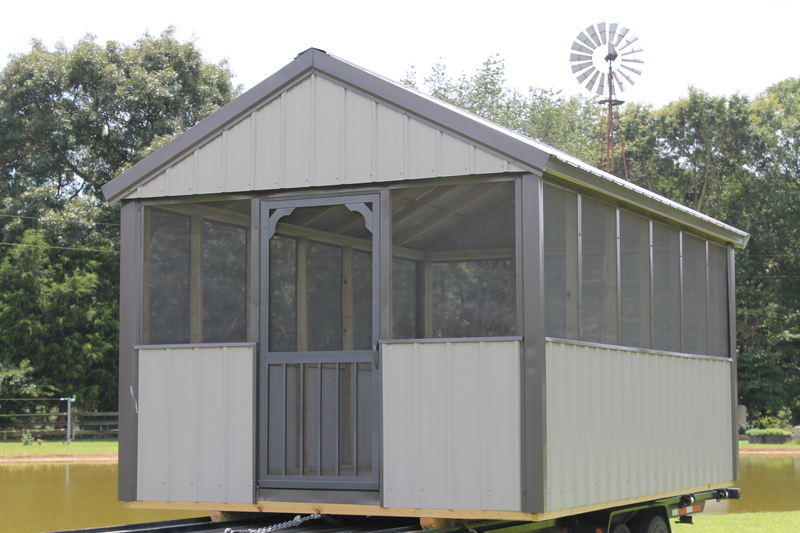 The standard size is an 8×14 with an 8' porch. 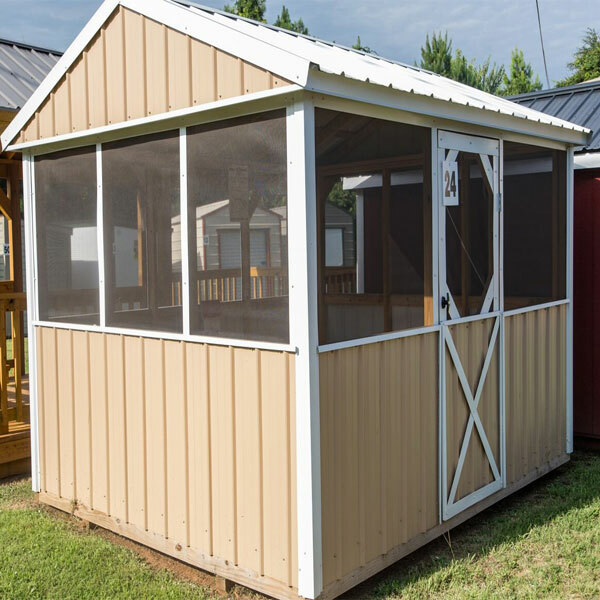 These chicken coop feature a metal roof and wire protection on the windows! 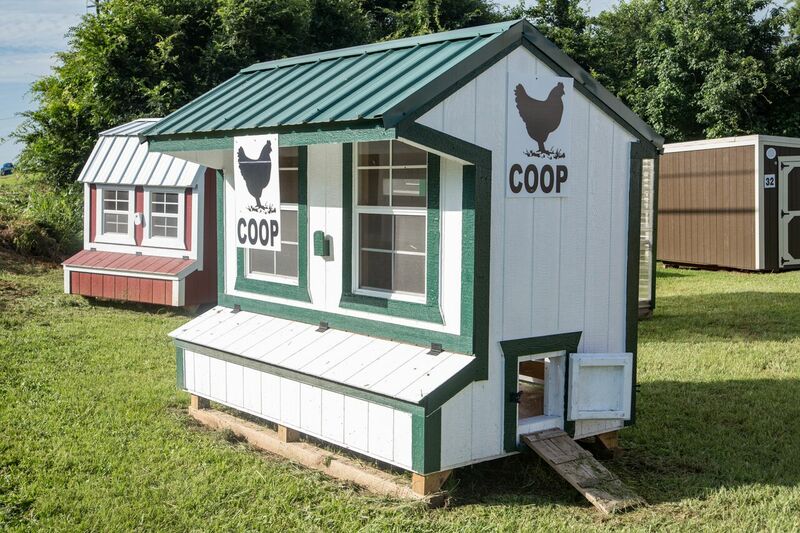 The base price is for a 5×8 chicken coop, which is the smallest size we make. The 5×8 is ideal if you have limited space and only have 12-15 chickens.